How Brands are taking advantage of Facebook’s new Call-To-Action buttons? Samsung has recently launched new smartphones in Bangkok named as Galaxy Core Prime 4G, Galaxy Grand Prime 4G, Samsung J1 4G and Galaxy A7. As the competition is growing more and more companies are running more faster from the other. The latest brands that are running in this race are Micromax and Xiomi. But the Korean electronics this big step shows that it is curious to be on top in this pace of fastest growing smartphones market. The President and CEO of Samsung India Electronics, Hyun Chil Hong said that India is one of the fastest growing energies markets. He is very impressed with the diversity, hospitality of India and rich culture that never seen before by him. In 2015, He plan to introduce path-breaking technology across various categories of products that improves consumer experience and strengthen position in the market. He said this at the Samsung South West Asia Forum 2015 which was attended by people from India, Nepal,Bangladesh and Sri Lanka. Samsung is a South-Korean multinational company. Many aspects like Samsung Electronics, Samsung heavy industries, Samsung life insurance, Samsung C&T, Samsung Engineering, Samsung Techwin, Cheil Worldwide and Samsung Everland are included. In next three decades, the group will expand into areas which includes textiles, food processing, insurance, retail and security. There are many groups also like Samsung group, Shinsegae group, Hansol group and CJ group. As of 2013, Samsung able to achieve by global smartphone segment around 31% of the largest market share. The latest news is that the Samsung launch four 4G smartphones in India. These smartphone models will be available in India by second week of March at starting price of Rs.9900. With these smartphones one more thing is launched that is world’s first convertible refrigerator in which people can change the freezer into extension of refrigerator by just one click button. There were many more products like a Joy Smart TV which has built-in wifi that helps the consumers to access the internet, air-conditioners, microwave ovens and new washing machines. The Galaxy Grand Prime 4G sports with a 5-inch qHD display for seeing the screen clearly. It runs the Android KitKat version which is older and there is no word on upgrading to Lollipop version. 1GB of Random Access Memory (RAM). This phone has 8GB onboard storage which is expandable to 64GB via microSD card slot. The dual SIM smartphone has 2,600 mAh battery which is the main feature to be confirmed in any smartphone. The Galaxy Core Prime 4G sports has slightly smaller 4.5-inch WVGA display but clarity is same. Camera feature is seen by everyone before purchasing. This phone expects 5MP rear camera with autofocus also. It has 2MP front-facing camera. The specs sheet contains 1.2GHz quad-core processor with 1GB RAM. It is having microSD card slot up to 64GB storage. The battery is extended upto 2,000 mAh. The Samsung Galaxy A7 smartphone has a 5.5-inch Super AMOLED display with a full-HD 1080 x 1920 pixel resolution which gives a very clear image. It has 64-bit octa-core Qualcomm Snapdragon 615 processor with a 2GB RAM. Samsung has added in camera with rear 13 MP autofocus with LED flash and also with 5MP front facing camera. Some of the other features includes Rear-cam Selfiem, Wide Selfie, and Beauty Face. The device has an internal storage of 16GB. It can be further expand up to 64GB with microSD card. 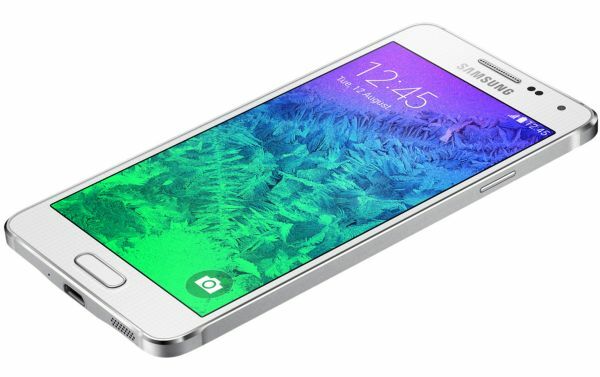 Price of Samsung Galaxy A7 is Rs. 30,499 and is available through India e-store. The J1 sports has a 4.3-inch WVGA PLS display to see more big images and clear also. It runs on Android 4.4.4 KitKat OS. No one can say whether it is upgradeable to Android Lollipop or not. A 1.2GHz quad-core processor coupled with 768MB RAM. About the storage , expect 4GB onboard storage that is expandable to 128GB through microSD card slot. This smartphone supports dual micro SIM configuration have two sim slots (GSM+GSM). It also has 5MP rear camera and 2MP front facing camera. A 1,850 mAh lithium-ion battery completes the package, having 10 hours of talk-time on 3G networks. One Stop Technology News & Updates.